for $549,500 with 3 bedrooms and 2 full baths, 1 half bath. This 3,138 square foot home was built in 2008 on a lot size of 0.58 Acre(s). 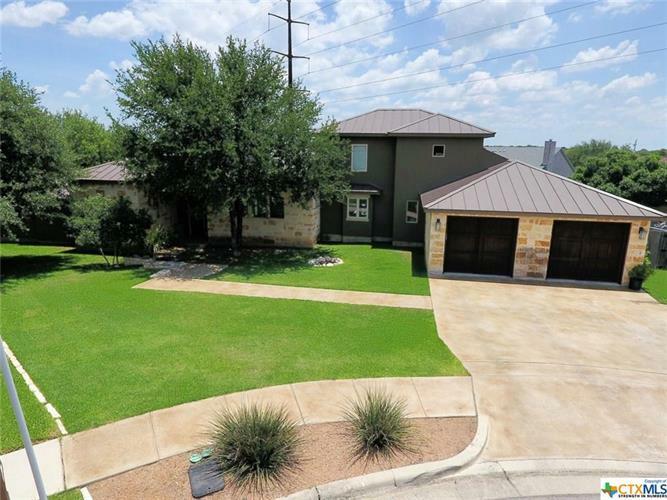 Custom "Hill Country Contemporary" style home located on a cul-de-sac "On The Hill". Kitchen features granite counter tops with KitchenAid appliances including an under counter ice maker. There is a built in desk in the pantry. Living room has 12 foot ceilings and rock fireplace. Master bathroom features real marble counter tops, a walk-in shower with a rain head and a garden soaker tub. Home has 2 tankless hot water heaters. Large backyard is perfect for entertaining with a separate patio and a rock fire pit. Other exterior features include stamped stained concrete driveway and porches, extra parking spot in the driveway and a boat/trailer parking area behind a gate.